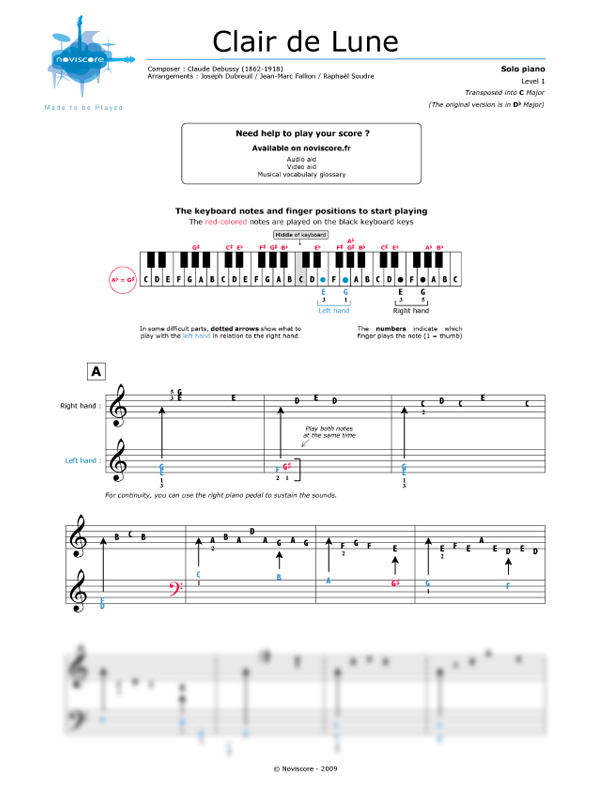 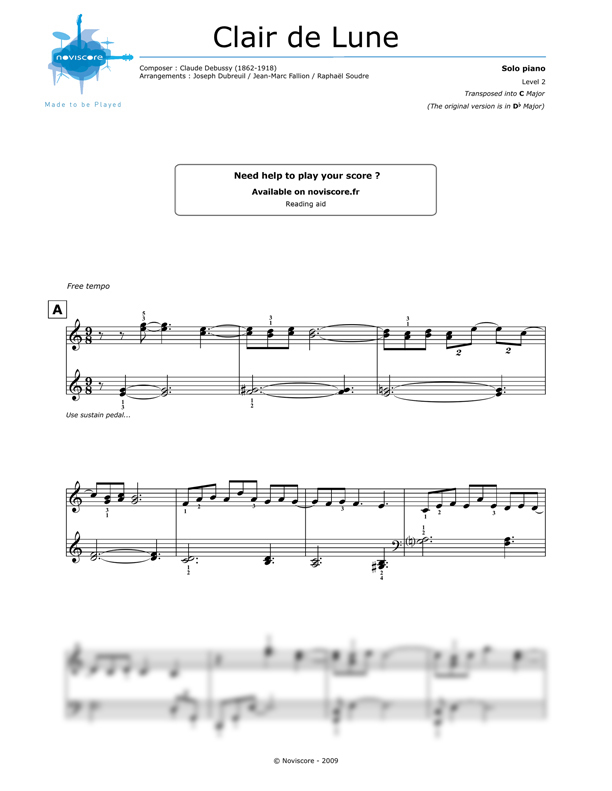 We have great pleasure in offering you this piano sheet music which we have adapted for 4 different levels of piano playing skill. 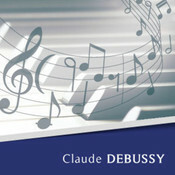 Clair de Lune is the third movement in the Suite Bergamasque, one of the most famous piano suites by Claude Debussy. 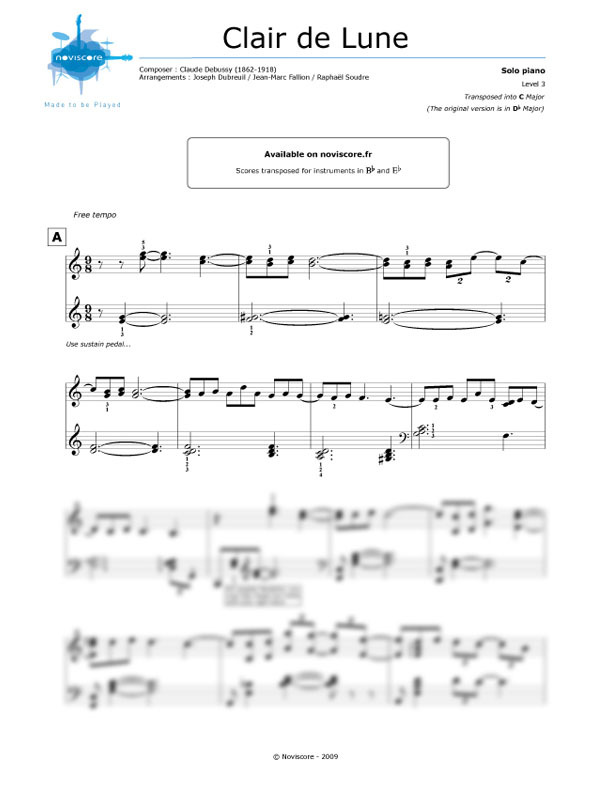 This beautiful piece of classical music has become the most well-known of the four movements and was inspired by the poem "Clair de Lune" written by Debussy's friend, the French poet, Paul Verlaine. 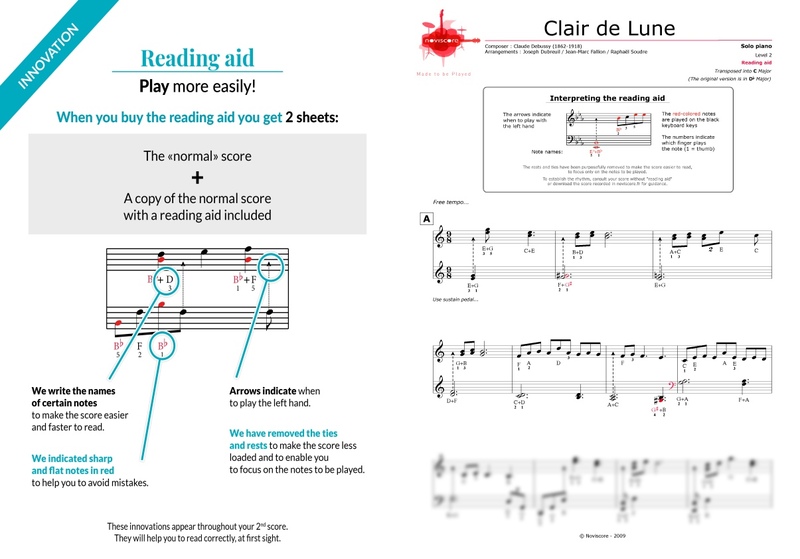 The original sheet music is not an easy piece to play well but you will be able to find the right music sheets for you from our various adaptations. 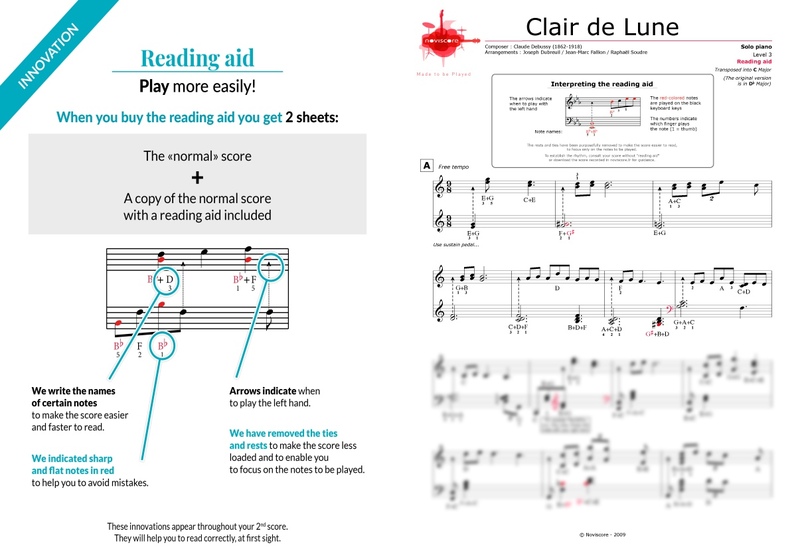 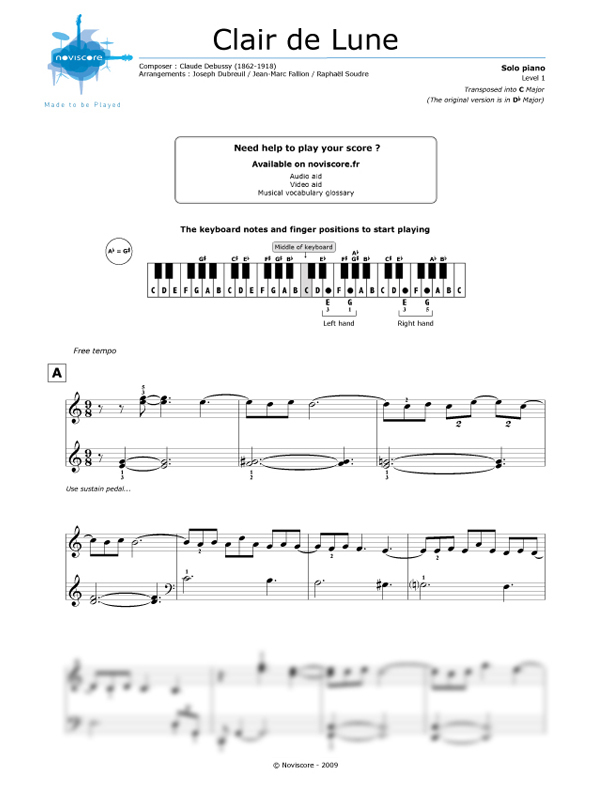 If you are a beginner, try our easy piano sheet music Level 1 and if you have trouble deciphering musical notes, try our Level 1 with note names. 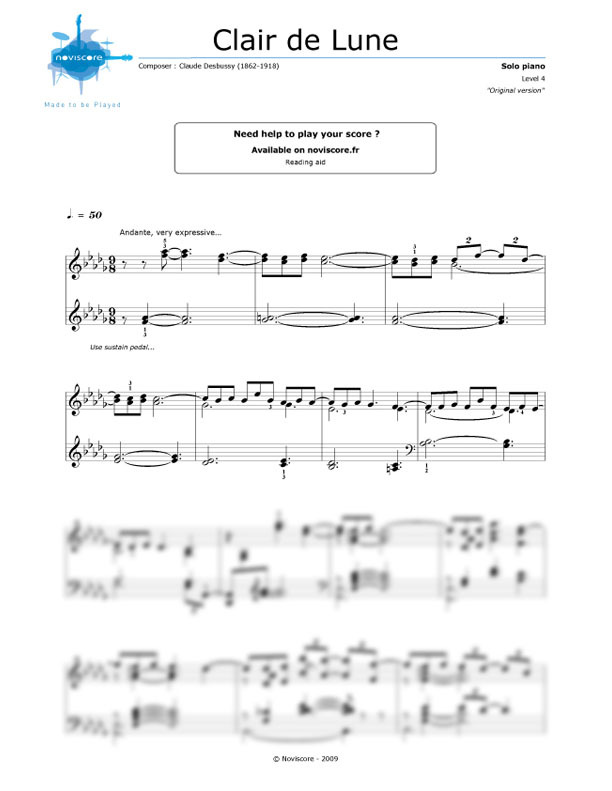 For the experienced pianist, try our Level 3 piano music sheets or even the original version. 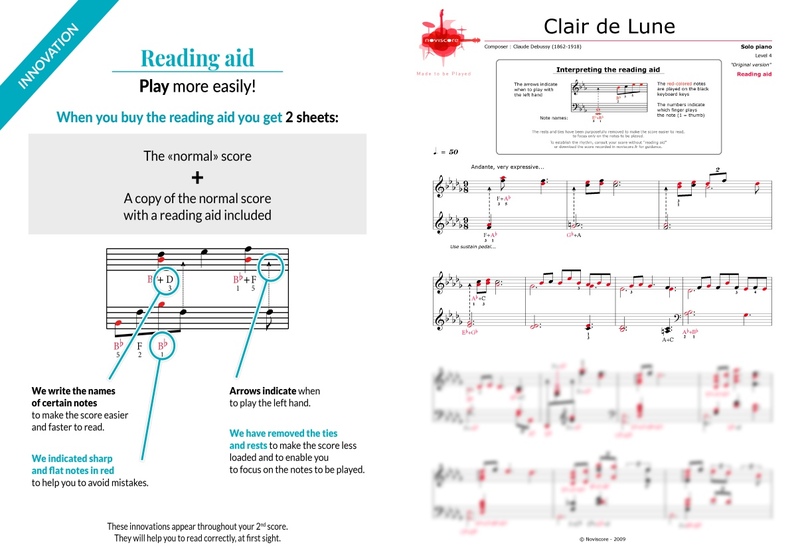 If the title Clair de Lune doesn't mean anything to you, you will almost certainly recognise the music when you hear it as it has featured as a soundtrack in several films such as Ocean's Eleven, Twilight Saga and The Round Up (2010 French film, La Rafle).